The third issue of Nesting Newbies came out this month. What I like about this on-line magazine is that is combines articles on entertaining, food, design and blogging. All things that I love! But in keeping with what is relevant to this blog, here are some photos of a pretty spectacular and innovative boys loft bedroom. The ceilings in this room must be close to 20 feet, which is not a reality for most of us, but this helps spark the imagination on how to bring activities and playfulness into the bedroom. 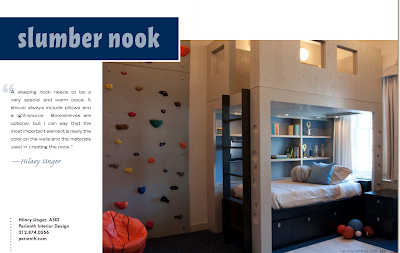 The best part about this room is that even though the boys have to share, they still have their own private "nooks" where they can have their own "private space". 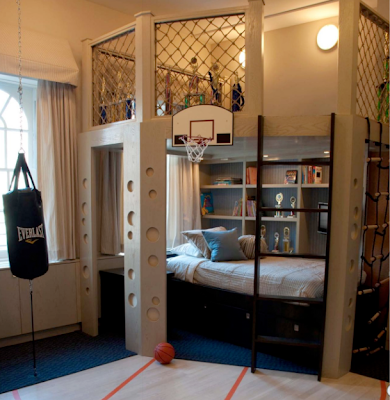 I'd definitely call this a dream middle-schooler's room! driverpack solution offline compressed full version download free.